Celina has over 30 years experience of riding and owning horses, working with everything from happy hackers to competition horses. 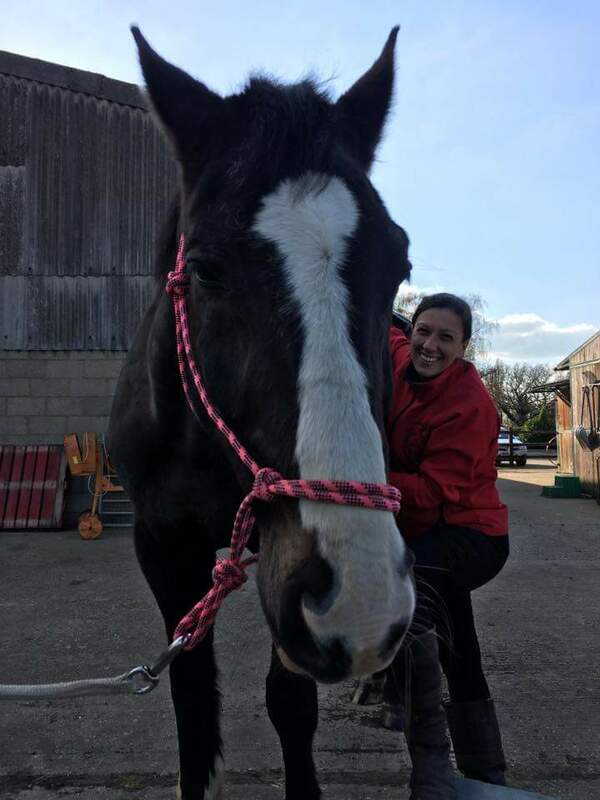 She graduated with a BSc Equine Science (Hons) from Writtle College in 2006 and has since achieved an MSc Animal Manipulation from BPP University in cooperation with the McTimoney College of Chiropractic. In 2013 she also qualified as a Merishia Massage Therapist which she uses alongside animal chiropractic techniques. The McTimoney technique was first adapted from traditional human chiropractics by John McTimoney in the 1950s. It was modified for use on animals in the 1960s and aims to rebalance the musculoskeletal and nervous systems. The focus lies on the flow of nervous signals which should flow freely through the spinal canal in order to reach every muscle and organ within the body. This flow can be restricted when the nerves route through the spinal canal is narrowed by vertebrae that have become misaligned. The nerve can become impinged leading to an over or under active function. This can present as muscle spasms, restricted or altered movement, pain and discomfort. During the treatment fast and light adjustments are used to realign the spine and pelvis, enabling the nervous energy to flow freely, improving function and increasing mobility of the joints. The gentle nature of the treatment means that it is readily acceptable by most animals. Treatment of horses can help to relieve symptoms such as back pain, bucking, napping, rearing, loss of performance and behavioural issues. Whilst in dogs stiffness, discomfort, behavioural problems and reduced ability to do everyday tasks, such as climbing stairs, may indicate misalignments of the skeletal system. *NB. Veterinary permission must be sought for each animal prior to the commencement of treatment.